Yesterday we received a box via UPS. I was so excited to offer it to my cats! 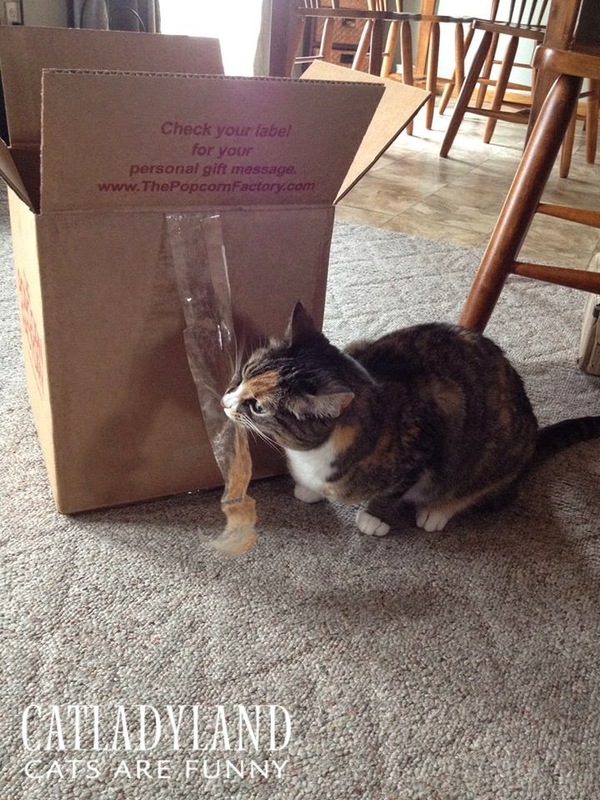 Phoebe was so excited to offer the packing tape to her mouth!